Due to the various benefits that business can find in the cloud, the competitive landscape of cloud service providers has increased exponentially over the past five years. When deploying a cloud service to use for your business, whether you'll be using it for voice, storage, disaster recovery, or virtual machines, you need to be able to manage and support that deployment. This then begs the question "Can I manage this cloud myself?" There are pros and cons to both having a third party doing it or doing it internally, it’s critical you understand those differences before you engage in any type of cloud project. An unmanaged cloud refers to any type of public cloud in which you are paying for what you consume. The cloud provider determines a series of standardizing services for any type of business and assumes little responsibility for guiding you through the implementation process. This means that on a certain level, you’ll have to figure out the migration on your own. Businesses pay for the resources they use at a certain time or the resources they allocate for the future. Under this model, a large number of tenants (users) are hosted under the same resource pool. c cloud providers own massive data centers where they can pack multiple clients, which reduces costs and allows customers to scale their IT needs. Each cloud architecture offers your business a different level of flexibility and the bottom line is, they are all created for completely different business objectives. However, on a public cloud model you are the one that manages the actual allocation of resources. This means that if you’re just planning to migrate to the cloud and are unsure of what resources you’ll need, you might struggle without guidance. As a result, in an unmanaged cloud model, the provider offers you a narrow set of roles to support your cloud implementation. Anything beyond those roles you’ll need to do on your own. The business objective of a managed cloud is to provide the user a higher level of stability, performance, and security. To do so, a managed cloud provider will host a number of resources entirely dedicated to each tenant on a private cloud. A managed IT services provider has a highly scalable platform and a strong IT team that can work as an extension of your organization. The most common solutions that use a private model are voice and storage. 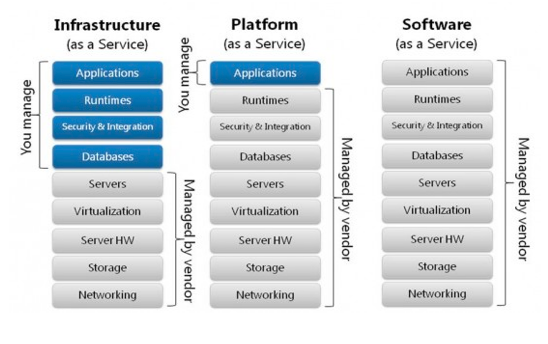 You can also deploy different types of cloud architectures such as IaaS, PaaS, and SaaS. An additional benefit of having a cloud managed provider is the engineering expertise you'll have at your disposal to implement a solution that’s fully tailored to what your business needs. Finally, managed cloud services are usually scalable depending on the size of the company using the service. Managed vs. Unmanaged? Public vs. Private? What’s right for you? The first step is to consider the skills that your current team possesses. If you have a strong IT department that has expertise in cloud deployments, go with a public model. Keep in mind that the IT department of a public cloud will not always be available to help you, as they have thousands of other users to attend to. Also, think about how often your workload changes and if there are any regulations you must follow. If you have a changing workload and regulations to keep in mind, a private cloud may be for you. The reality is that most enterprises today choose a mixed strategy with certain projects allocated to a public cloud and others to private. However, even if you decide to go with this hybrid strategy, having a team of knowledgeable experts to support you is very helpful. Let us help you with your IT projects and find the best option for your business! Surveys from IDG Research Services, in conjunction with Dell EMC, shows the important role Hybrid cloud plays in reaching digital business goals such as: Improving customer experience, Acquire new customers, and increase customer engagement and loyalty. What's next? 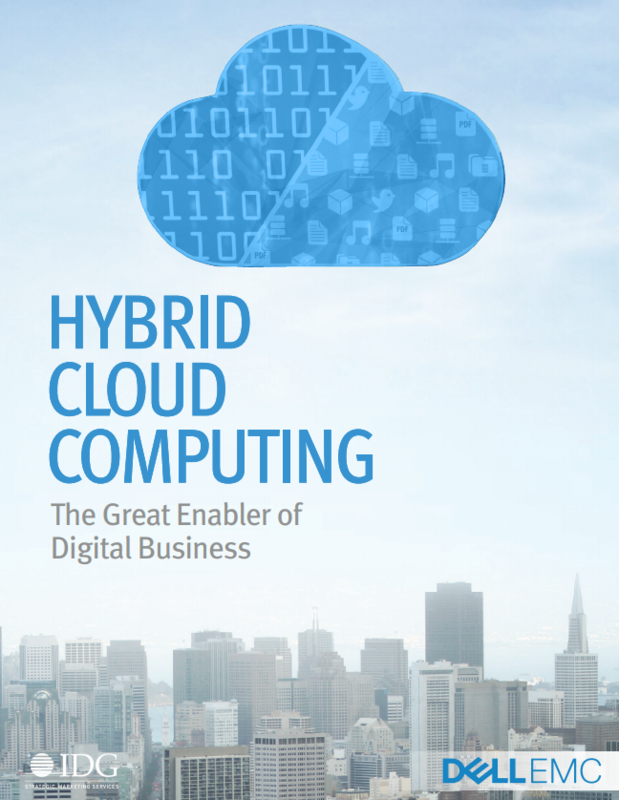 Download the whitepaper and get ready to become a digital business leveraging the power of Hybrid Cloud.